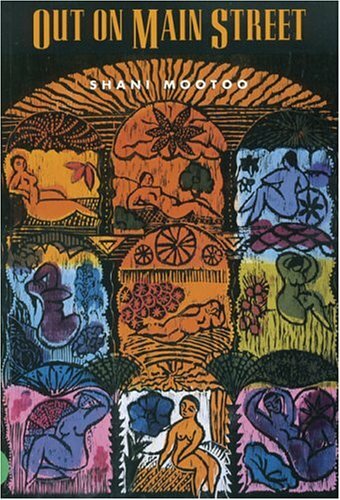 Shani Mootoo is one of my favourite writers, but despite having devoured almost all of her fiction, until recently I had yet to read her very first book, a collection of short stories called Out on Main Street that was published way back in 1993 (I was only 8 years old!). It’s one of the books that I’ve had a copy of for a while, but had never gotten around to reading. So, Out on Main Street is definitely an uneven collection: it feels like someone’s first book, for better or for worse. It’s not bad by any means, but it’s not amazing either. For anyone who’s new to her work, I would suggest starting with another one of her books, the amazing Cereus Blooms at Night—her first novel—or her most recent, Moving Forward Sideways Like a Crab. Both showcase Mootoo’s talent much better than this book, where you can only see seeds of what makes Mootoo presently a really fantastic writer. Mootoo is definitely testing the waters and getting her sea legs, as you might say, in this book of short stories. A few of the pieces fell kind of flat for me: they didn’t feel fully formed, or felt like they were missing something. That doesn’t mean, however, that there weren’t some standout stories in Out on Main Street. In particular, the title story is great. Written in an Indo-Trinidadian dialect, as if right out of the mouth of the narrator, “Out on Main Street” of course refers to “out” in more than one way. It packs a lot into a small space, investigating the cross-overs of privilege and oppression and intersectionality way before that term was current. Our precocious protagonist is a butch Indo-Trinidadian woman out in Vancouver’s little India with her femme girlfriend. Alliances and enemies are made and remade inside an Indian sweet shop, the women quickly turning from outsiders to allies to outsiders again. Another reason we shy to frequent dere is dat we is watered-down Indians—we ain’t good grade A Indians. We skin brown, is true, but we doh even think ‘bout India unless something happen over dere and it come on de news. Also, they’re a queer couple who stand out in the heteronormative environment. But they momentarily bond with the women in the sweet shop over sexism, and with everyone when a couple of racist white guys come in and greet everyone with a butchered version of a Muslim greeting–“Alarm o salay koom”–despite the fact that they’re in a Hindu-owned store. I tell she I don’t know why she don’t cut off all dat long hair, and stop wearing lipstick and eyeliner. Well, who tell me to say dat! She get real vex and say dat nobody will tell she how to dress and how not to dress, not me and not any man. For ten years she had been floating rootlessly in the Canadian landscape, not properly Trinidadian (she could not sing one calypso, or shake her hips with abandon when one was sung—the diligence of being a goodBrahmingirl), not Indian except in skin colour (now, curries and too many spices gave her frightful cramps, and the runs, and in her family a sari had always been a costume), certainly not White and hardly Canadian either. Except in the sense that Canada was a country full of rootless and floating people. The story is a fascinating meditation on the condition of so many Canadians, recent and not so recent immigrants. If you’ve read some of Mootoo’s other work, and are thirsty for more, or if you’d just like to see where this now prolific writer started, I recommend checking this book out! 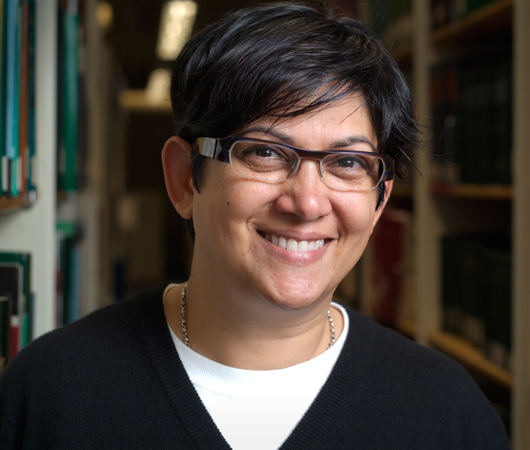 This entry was posted in Butch, Canadian, Caribbean, Fiction, Lesbian, Postcolonial, Queer, Shani Mootoo, Short Stories, South Asian, Vancouver and tagged Caribbean Fiction, indian. Bookmark the permalink. What a lovely post, thanks!